Putting together a party can be a very daunting task, considering all of the elements that must go into throwing a successful shindig. You have to decide what food you need, party favors, guest lists, etc. Just putting together all of the invitations can be a major hassle! What do you do when you simply don’t have enough time to put together the perfect party? Luckily, if you need Southern California party entertainment, The Fun Company is available for all of your planning needs. With a plethora of rental and service options to choose from, your next party or corporate event will be talked about until next year! When it comes to finding the right fit for your special event, you may want to peruse a selection of inflatable rentals. The Fun Company offers a wide variety of inflatables that will work at any number of events, be it a birthday party, charity carnival or corporate team building event. Choose an inflatable slide or bounce house for the party, sports games for the carnival and an obstacle course for team building. You can’t go wrong because everyone loves inflatables. The Fun Company also has a selection of entertainment options that stretch beyond inflatable rentals. Are you looking for some live party entertainment? Gerry Robinson – the “Instant Songmaker” – can stroll around your party, quickly creating and recording songs about your guests. Looking for a stage show? Kevin Stone is a master hypnotist who will have your company roaring with laughter as fellow coworkers do silly things in front of everyone. If you need food provided for any Southern California events, The Fun Company can supply catering services for your public or private party. With all types of offerings perfect for company picnics to catered affairs, you will get yourself out of the kitchen and enjoying the festivities. For more information about The Fun Company, call (626) 969-6571 today! There has been a major push towards using custom inflatables for safety and medical reasons lately. Just look at the last few months of posts in this blog and you’ll know what I mean. There was the development of an inflatable racing suit that protects drivers in crashes. Next, there was an inflatable tourniquet for Army soldiers in the field, followed by the development of an antimicrobial inflatable seal. It would seem that this movement is not ending any time soon, with another use for inflatables coming to the forefront. How do you think inflatables should be used for safety? Do you have any great ideas for inflatable development in the future? There was a widespread controversy last year about the safety of the vinyl many companies were using to construct jumper combos and other interactive inflatables. The attorney general from California slapped a number of companies with a lawsuit claiming that the amount of lead allowed by these businesses surpassed legal limits. As written in this blog, Inflatable 2000, a reputable renter of inflatable products, follows all regulations regarding Proposition 65 and the Consumer Products Safety Improvement Act. Its products are totally safe and complaint and remain phthalate-free. Think about every time you’ve opened a new bottle of Tylenol or other pain medicine available over-the-counter. The seal on the top of that bottle is essential to keeping you safe and that’s what this invention makes possible. The article says that Pawling Engineered Products Inc. has actually made products last longer with this seal as well. 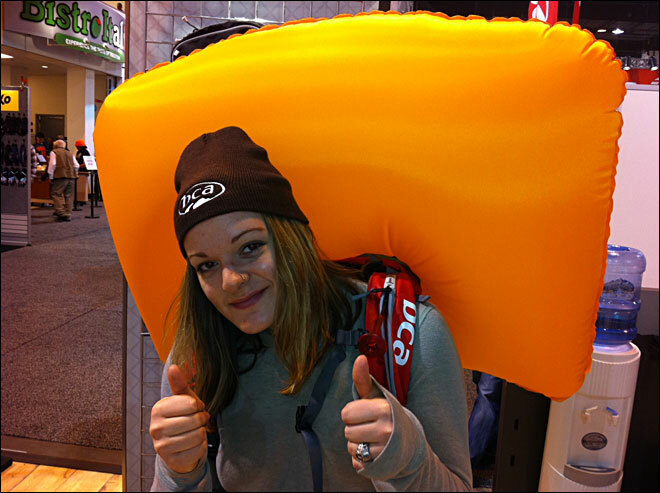 Consider the inflatable bladder which acts as a tourniquet for soldiers with life-threatening wounds. If that product is combined with the antimicrobial properties of this invention, what could this mean for the future of medical inflatable technology? How much further can inflatables go? When you ask someone what an inflatable is, it’s a safe bet they will talk about a bounce house at a party they were at or even an inflatable obstacle course from an office outing. While these uses of inflatables are certainly important in their own ways, there are inventions using inflatable technology in new way to help add safety and/or efficiency to different areas of life. In this vein, we have discussed using inflatables in seatbelts, racing suits and other applications. As of this posting, testing has gone well for this inflatable device, with interest and approval (albeit pre-market) from both the FDA and military. Although the primary function of this invention was envisioned for military use in the field of battle, this is certainly a tool that could prove useful in hospitals and ambulances all over the country. With the Super Bowl between the New England Patriots and the New York Giants coming up on Sunday, it got me thinking about the role of inflatables at sporting events. There is no doubt that inflatables will play some part in this year’s game, whether its during the preshow, halftime show or in the form of an inflatable mascot. Luckily for you, sports inflatables don’t have to be confined only to the major sports leagues – your team can have them too! Inflatable Helmets – One of the most popular items at sporting events is soft serve ice cream sundaes in collectible plastic helmets featuring the home team’s logo. Now think about that same helmet inflated and the size of two and a half cars. That’s something every team needs. Even though there’s no ice cream involved, a custom inflatable helmet with your team or brand logo is perfect for the big game and even for trade shows. Inflatable Tunnels – There are few things more exciting than going to your favorite team’s home games. You know how amped the crowd can get at these games, but they can always be more excited. Throw out that old paper banner and get an inflatable tunnel for your team to run through right before kickoff. As with any inflatable from Custom Inflatables, have your tunnel emblazoned with team logos (and even sponsor logos!) in traditional team colors. Inflatable Games – A major part of any sports game experience is what happens before and after the game around the stadium. Once your fans enter the stadium, make sure there are plenty of inflatable games available for kids and adults alike. Whether you want a pitching game showing a player’s accuracy or a dunking contest inflatable, Custom Inflatables can make it for you. These types of games can be custom built to any specifications, complete with your team’s branding.